Is Mourinho getting his mojo back? In successfully stymying a strongly fancied Liverpool team — and sowing a bit of mischief with his post-match comments — Manchester United manager Jose Mourinho looked like something approaching his old self. Mourinho has made an unsteady start to life at Old Trafford, with three successive defeats in mid-September threatening to derail United’s season before it had really begun. 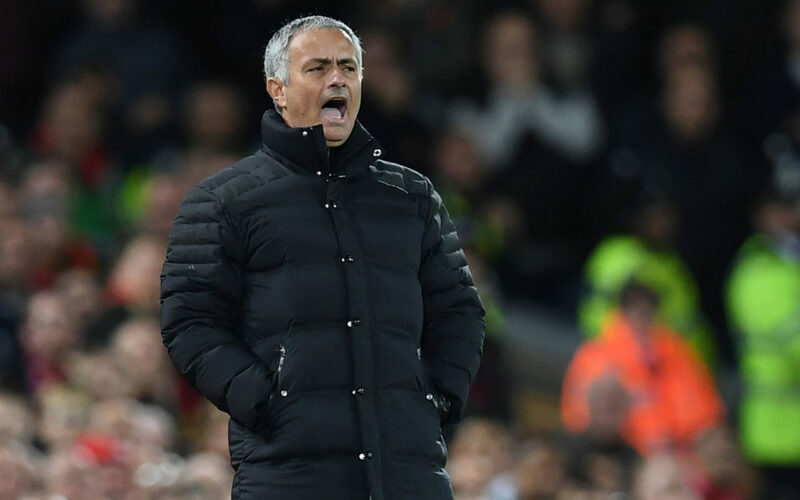 But while they lie seventh in the Premier League table, their display in Monday’s 0-0 draw at Anfield suggested Mourinho’s methods could yet bring about an end to the club’s three-year slump. “United did exactly what Mourinho would have wanted,” said former United captain turned Sky Sports analyst Gary Neville. United’s stifling display at Anfield brought to mind Chelsea’s 2-0 win there under Mourinho in April 2014, which served to torpedo Liverpool’s hopes of league title glory. Liverpool have run riot on occasion this season — winning 4-3 at Arsenal, thrashing champions Leicester City 4-1 and crushing Hull City 5-1 — but against United they mustered only three attempts on target. The Daily Telegraph called it “vintage Mourinho” and the Daily Mirror said he had “out-thought” his opposite number Jurgen Klopp. Liverpool captain Jordan Henderson conceded that Mourinho’s men “did a job” on his side. Mourinho’s reputation was tarnished by Chelsea’s lamentable league title defence last season, but he was up to his old tricks in front of the television cameras after the game at Anfield. United, he said, had shown Liverpool were “not the last wonder of the world” and he even returned to the press conference room to quibble statistics that showed his side only had 35 percent of possession. Mourinho was seen as a bad fit for United in some quarters due to the club’s attacking traditions and former midfielder Paul Scholes commented recently that the team did not have an “identity”. But supporters were broadly supportive of his tactics at Anfield, with 85 percent of respondents to a poll by local newspaper the Manchester Evening News saying he had found the “perfect game plan”. The steely showing against Liverpool allows United to approach their next three fixtures with a renewed sense of purpose. They host Fenerbahce in the Europa League on Thursday, needing a victory to avoid falling behind in the contest for a knockout-phase place. “It’s something we accept at the moment,” said Giggs, who worked as an assistant to Mourinho’s predecessor, Louis van Gaal. “If you lose (at Liverpool), the pressure is on. Then you’ve got to win against Chelsea, got to win against Fenerbahce.